A city named after the Prince of the Mughal Empire that finds its name in the golden words in the history of India is Moradabad in Uttar Pradesh. The city marks its prominence due to its name after Mughal Prince Murad Baksh who happens to be the son of Emperor Shah Jahan and his beloved queen, Mumtaz Mahal. It is not just the name of the city that Moradabad is famous for. The city is popular in the country because of two other reasons as well. One happens to be the outstanding craftsmanship of the locals on brass. The beautiful crafting and hand work on various brass items are the specialty of the city. The other reason is the water park resort in Moradabad. The city knows the demands of its visitors the best way. The city has much more to proffer beyond its history especially when it comes to entertainment with a modern twist. Moradabad is the perfect holiday destination one can look for. One of the must things to do while in Moradabad is to visit the water world here. The Prem Wonderland water park in Moradabad is truly an abode of fun and frolic. Sprawling over quite a large area, it welcomes its tourists with a very vibrant culture. Start your trip to the park at the water rides. The exhilarating water slides will topple you upside down. The serpentine spiral slides, multi-lane slides, funnel tunnel water ride, body slides, family slides, and much more; you might run out of energy but never out of options to try here. Swoosh, slip, slide, or splash, the swimming pools are open for you to spill water all around and as much as you want. Unleash the kid in you and dive right into the big pool. 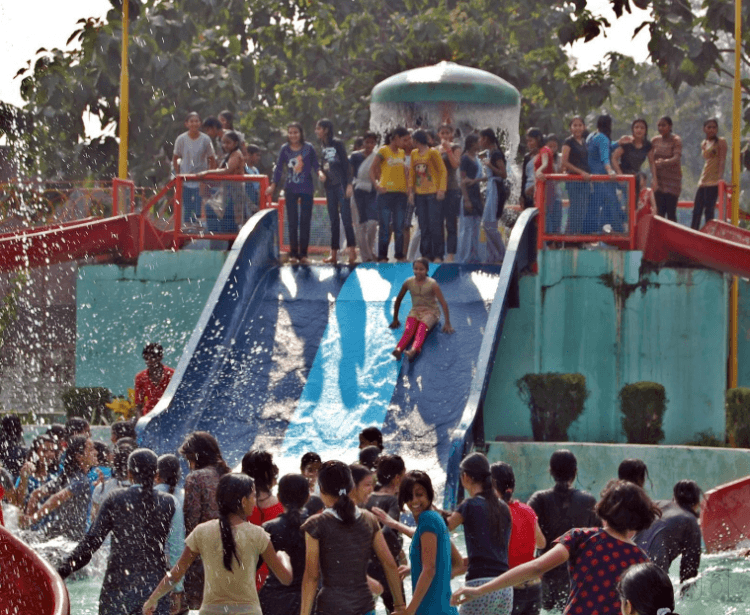 This amusement park in Moradabad lets you beat the anguish of the heat. Lie lazy in the pool or take a ride to get an adrenaline rush in your blood the choice is absolutely yours. Worrying about the kids? 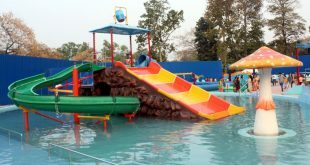 The water theme park in Moradabad has a kids’ zone completely dedicated to the young ones. So, while you enjoy your time, the kids find their world full of entertainment too. 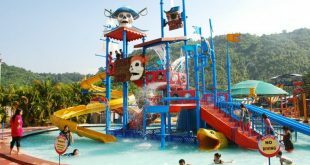 The colorful slides, water activities, kiddies’ pool, and many more, the water park has immense options for the kids to choose from. The rain dance is another attractive feature that you will fall in love with. Groove along with the exciting musical beats by the DJ and show your crazy moves to the most trending songs under the pouring rain. 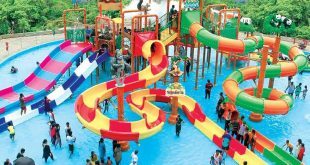 The water park near Moradabad also has arrangements for indoor activities that you and your kids will totally drool upon. Spend the quality time with your babies that they always deserved from you. Want to chillax and bask under the sun? Then dry yourself beside the fountain lying on the soft, green, velvety grass and feel the breeze calming you in and out. Skilled trainers and lifeguards are always there to keep an eye in case of any danger. 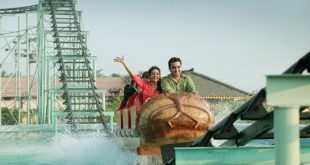 Security and safety are the primary concerns of the management of the water and amusement park in Moradabad. 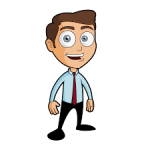 Are you tired of splashing water and wish to refill your drained energy levels? Then, the water park in Moradabad has arrangements for that too. You can find a number of eateries in the park premises matching up to your choice and taste of food. 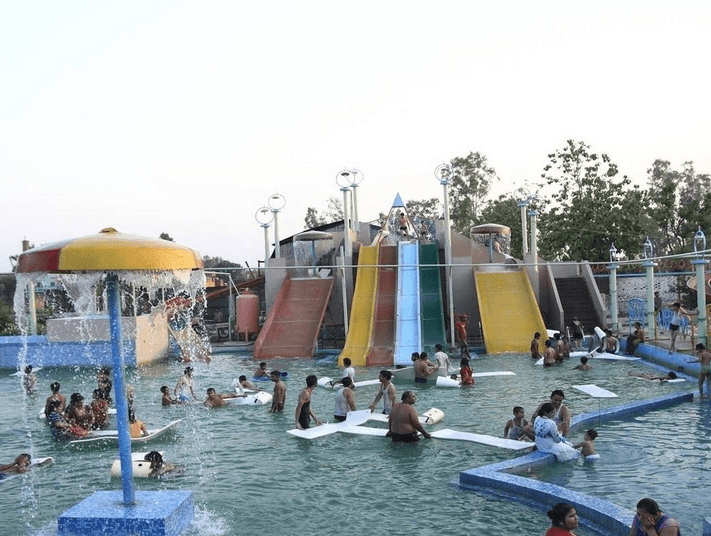 This water park at Moradabad is the righteous choice if you are looking for a family outing or gathering. 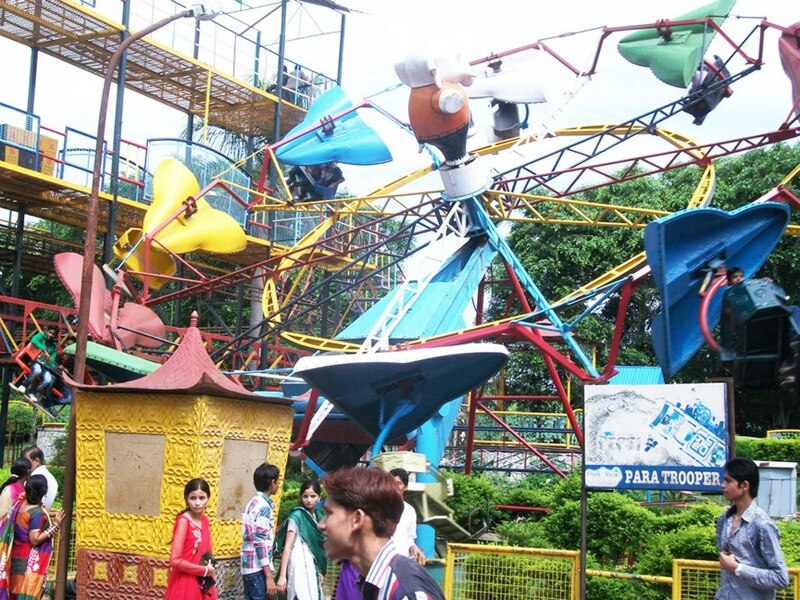 The regular renovations made in this park keep it updated with the trending technologies of rides and fun games. It is not just the days but the evenings are even more beautiful and enchanting in the park premises. The peaceful atmosphere will leave you bedazzled. You can extend your stay at this amazing water park of Moradabad at the resort attached to the park area. The ambiance of the hotel is top-rated. 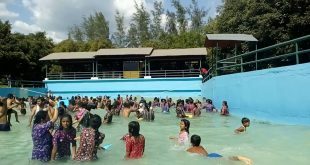 This water park is quite affordable, so you can bring your entire group even if you are low on your budget. 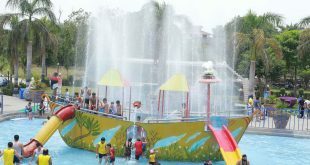 Undoubtedly, this is the best water park in Moradabad. No experience can be better than this. One should definitely come to the water park and feel the vibrancy for self. Dedicate this vacation to Moradabad and come closer to the culture of the city even better. Take a break from the monotonous, boring, and weary routine of your life and give your family the gift of a lifetime. Plan your trip soon, book the tickets right away and do visit Prem Water Park Moradabad.